Dear friends, I have missed many of your posts, and I have no hope of catching up, so I will have to skip many of them – my loss. 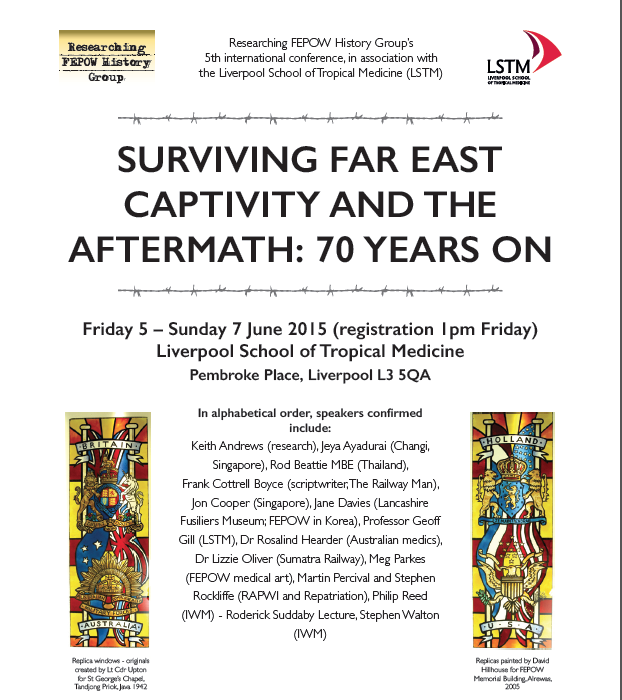 This was convened by the group of dedicated researchers at Researching FEPOW History, held at, and sponsored by, the Liverpool school of Tropical Medicine (LSTM). For two and a half days I have listened to surviving Far East prisoners (FEPOWs) and interned civilians, military historians, doctors, museum curators, family researchers and the children of Far East Prisoners. The hairs on the back of my neck rose many times on every day. I laughed, and cried in almost every talk. Every delegate had stories to tell and the venues buzzed as we tried to exchange these stories with each other. I have come back loaded with books, but here is the star of the show. 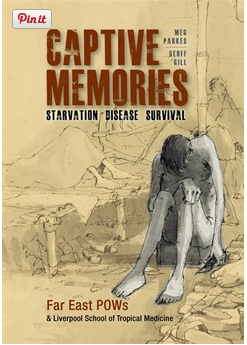 Meg Parkes, One of the authors of Captive Memories, was also the lynchpin of the whole conference, taking in radio and TV interviews as well as keeping the whole show on the running. 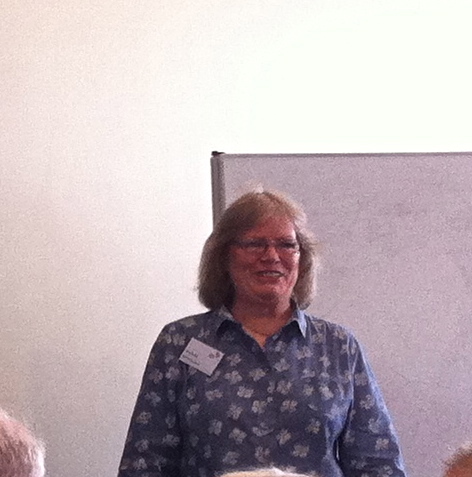 Of the speakers and attendees, the three surviving FEPOWs, provided some brilliant insights, and much laughter. An interview and discussion session with Eric Lomax’s daughter Charmaine McMeekin and Frank Cottrell-Boyce, the scriptwriter of the film The Railway Man had most of us sobbing. This was the first time Charmaine had been among people who, like her, had been brought up by a father so badly damaged by his war experience. This entry was posted in POWs, Reading, Writing notes and tagged Charmaine McMeekin, Eric Lomax, family researchers, Far East POWs, Frank Cottrell-Boyce, Liverpool school of Tropical Medicine, Meg Parkes, Researching FEPOW History, The Railway Man by hilarycustancegreen. Bookmark the permalink. Sounds like an amazing–and undoubtedly emotional–conference. Welcome back. I bet you’ve indeed earned a rest! It really was amazing. Rest? I am now trying to contact all those people who may be able to help with my research and who i promised to help with theirs. No rest for the hard-working writer! You’re the acme of researchers, Hilary ! – you take nothing lightly when it’s a matter of wanting to do your best. I’m so glad you enjoyed the conference, and greatly look forward to hearing something of it. A welcoming hug, my brave litle mate ! Ah, how lovely to hear from you. I am missing your voice on the internet – though I may have failed to pick stuff up, my inbox is out of control! No, it isn’t there. But I am still following my friends, and with pleasure. Please keep dropping in. I just recommended ATLMD to a guy at the conference who is writing about his father in part script/part prose. Meg Parkes has done well, good for her. I wonder what effect this conference will have on your own work. Like everyone there, I have made great connections with other researchers. So much information got exchanged, so many threads, that might have been lost, connected and made stronger. The conferences are biennial, I hope to speak in 2017. So glad you found it worthwhile. Total immersion. Good food for the writer. That’s exactly what it was. For fifty-six hours I listened and talked to people who had a unique connection and interest in one subject. I never thought of my greenhouse or my email inbox or the shopping/washing/cooking (I don’t do too much cleaning anyway). You have to just sit and think quietly after such enlightening events don’t you? Glad you enjoyed it. What good advice. My head is buzzing and I am trying follow too many threads simultaneously. I will remember to pause and let things sink in. I told Heritage Collectibles to ask for your expertise on identifying a picture. My guess was that it was taken in Burma during WWII, but that I thought you would know better than I. My expertise doesn’t run this far! Your guess is as good as mine. I have posted an answer on their website. Thank you for your time, Hillary. Fascinating. I see participants from Singapore, where I live. Wonder what they had to say. The two from Singapore were both brilliant speakers. Jeya Ayadurai (Singapore History Consultants) is such a warm and lovely person. He talked about the Changi Museum and the need to reach younger Singaporeans and tell them of their history. Singapore has been such a go-ahead country since the war that it has tended to obliterate its older history and now needs to recover pride in both the story and the remaining buildings and artefacts from earlier periods. Jon Cooper is a military historian. His very energetic lecture showed how a mixture of digging and being alert to finding documents of a period, enable a picture to be built of exactly what happened where in Singapore in the past. Both of them were bombarded with questions and offers of material over the rest of the conference. Hillary, living here, I see Singapore’s tendency to continuously break down and build. I’m from India, where anything ancient or historical is thousands of years old. I’m a little amazed at how anything two centuries old in Singapore is from an ‘early period.’ I’ve never been to the Changi Museum– maybe I should. Give it a go. It has much to do with WWII and it’s use as an internment camp for civilians and a POW camp for captured forces, but I think you will find a lot more to it than that. It was a very positive experience, Koji. I have always known that I was among the lucky ones, in that my father came back and lived a long and happy life. But the conference reminded me that war does not end with the ceasefire and that families, particularly wives, children pay a heavy price for soldiers’ sufferings.